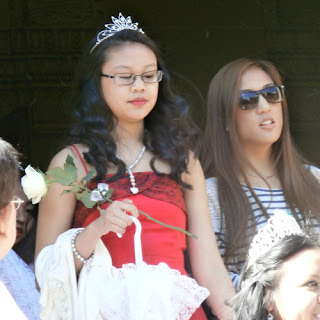 A splendid late-Spring day arrived to accompany the 35th Annual Santa Cruzan and Flores De Mayo festival in Downtown. I’ve written about the historical background here, here, and here. 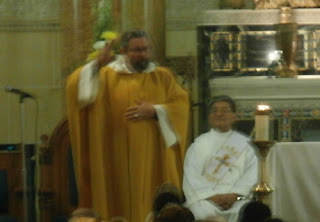 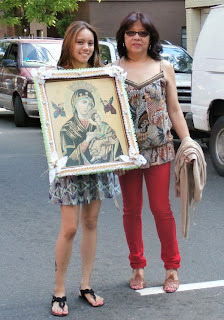 Also for 35 years, the traditional Santa Cruzan novena was held. 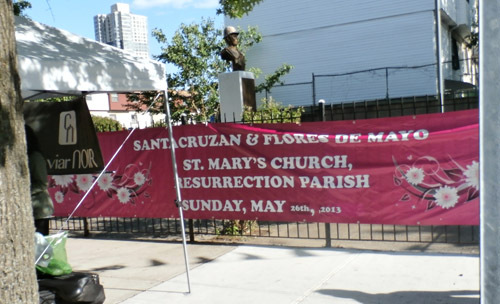 Every day for the nine days that preceded the festival, organizers, participants and parishioners gathered to pray for good weather for Santa Cruzan. 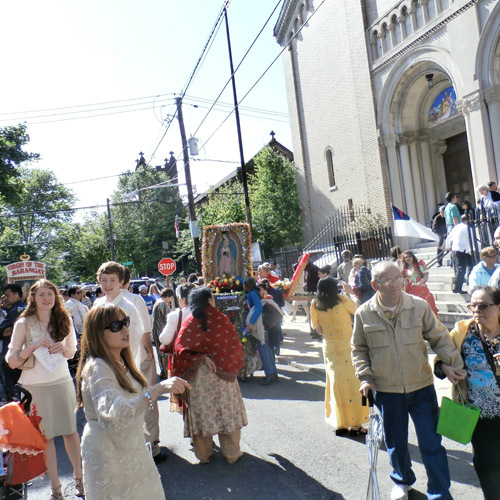 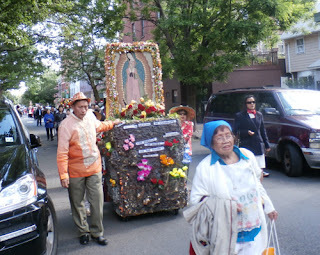 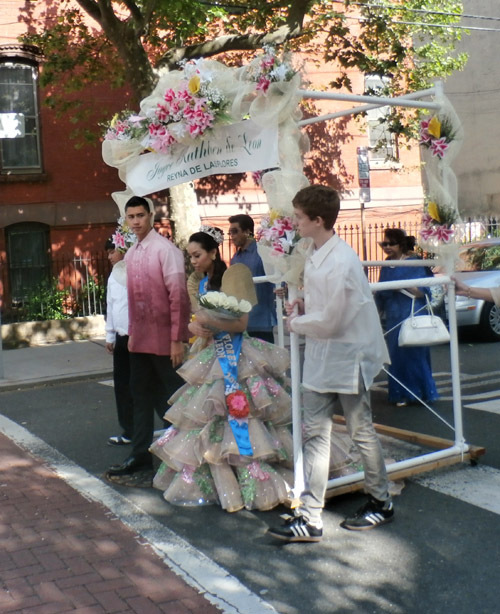 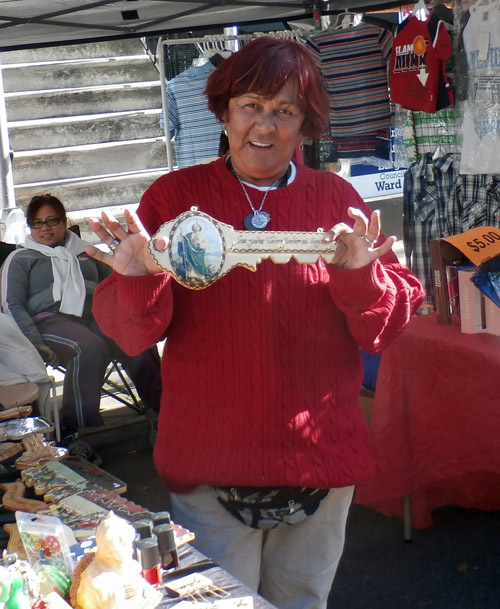 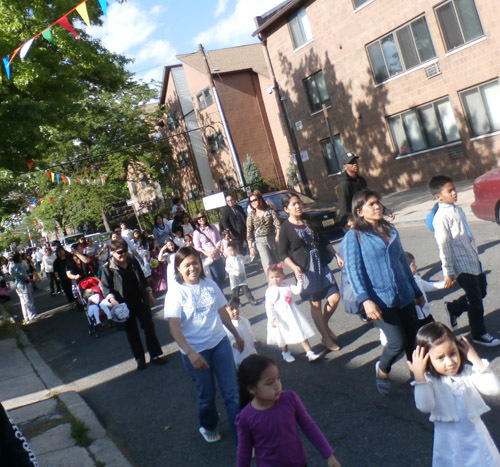 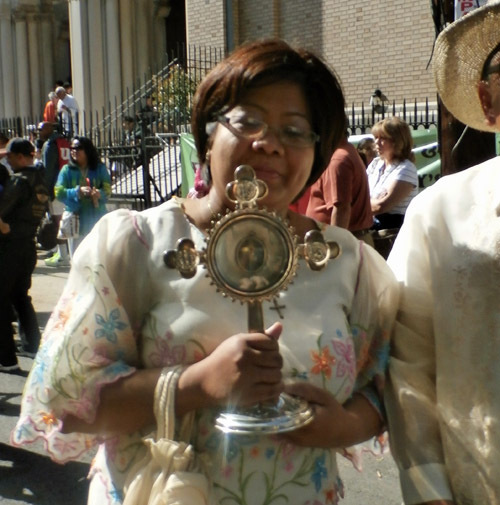 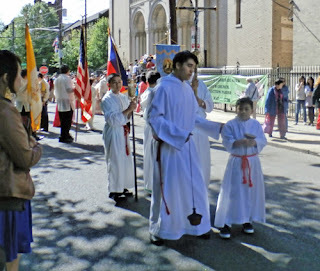 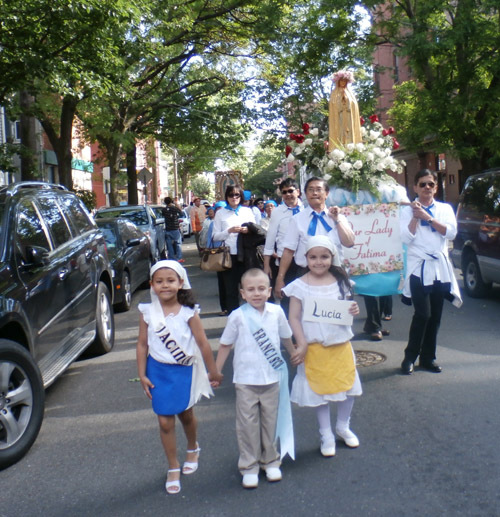 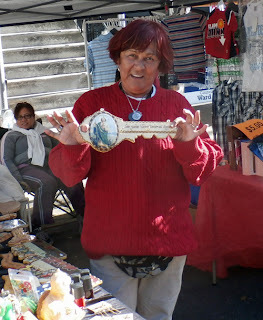 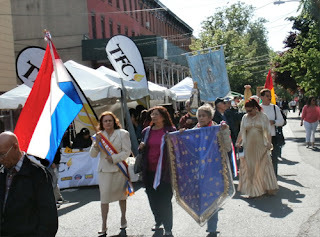 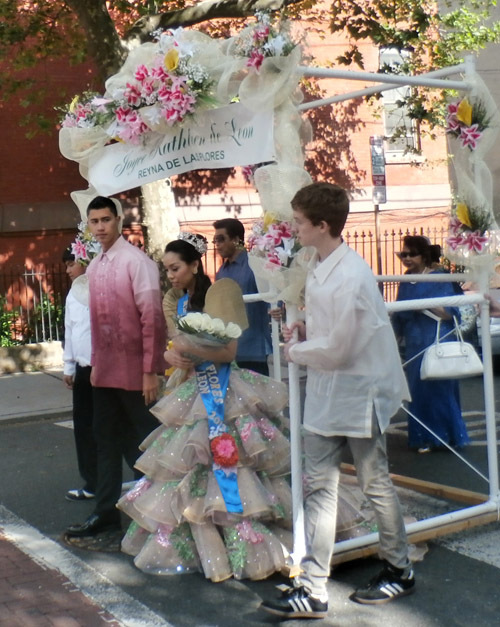 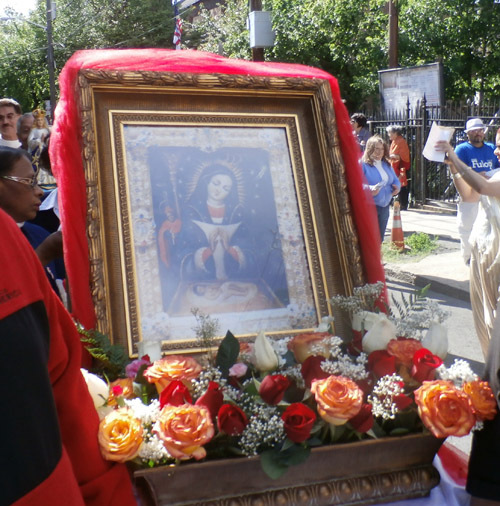 Similar novenas are usually part of the pre-event process for all the local street fairs and celebrations hosted by one of the Jersey City Roman Catholic churches. Scoff if you will, call it quaint if you must, but cold and rainy days – more like dreary November in your soul than the merry month of May of your senses – were the days before the Santa Cruzan festival, and by the Tuesday following, rain again returned. 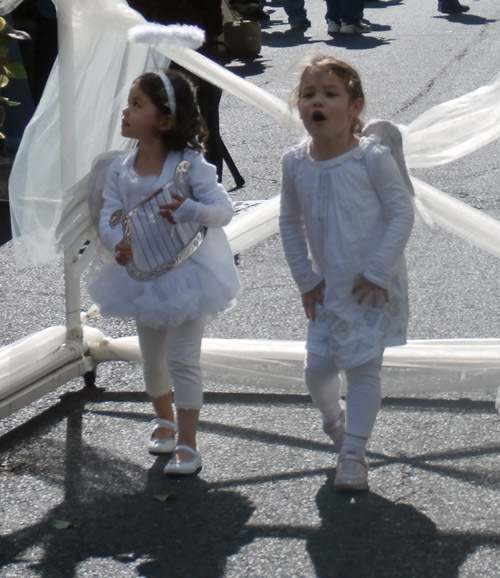 Climate change has disrupted our weather patterns, and yet for a single day the old May we all remember returned. 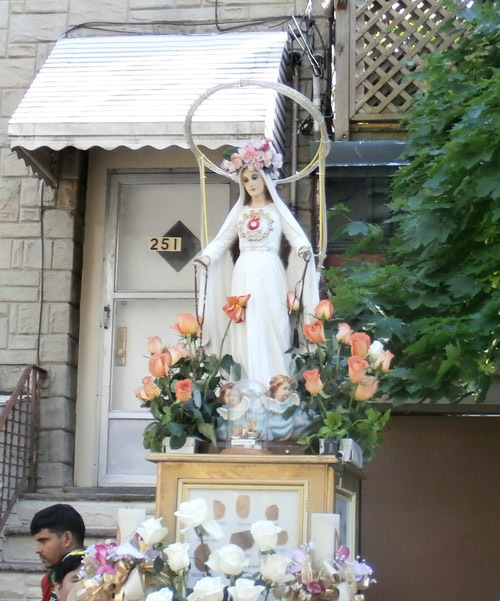 An answer to prayers may be in the eye of the beholder, but there’s no denying a perfect weather. 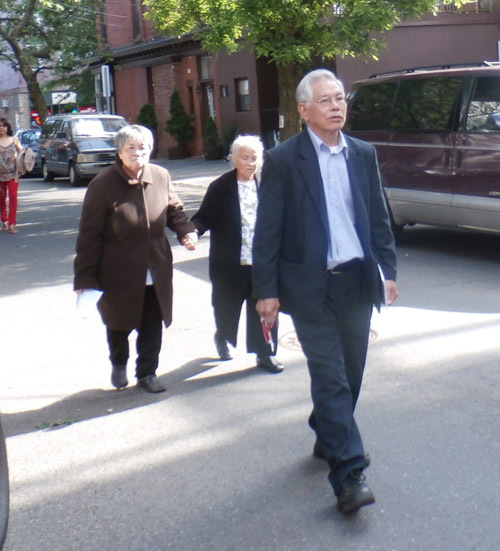 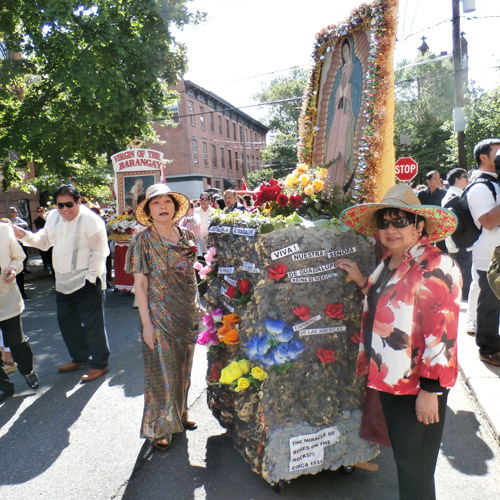 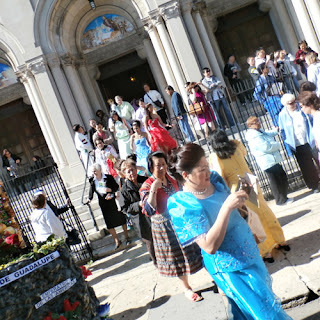 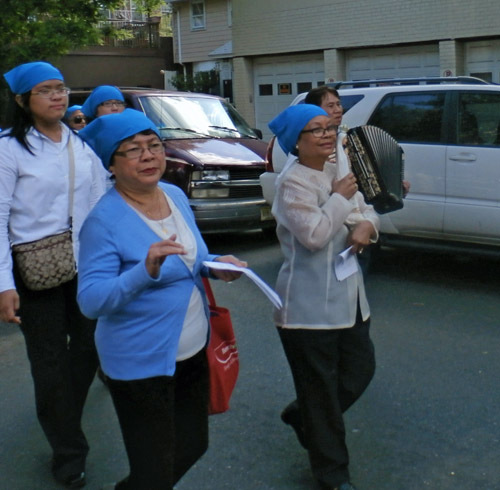 Santa Cruzan was brought to the Philippines by the Spanish, and nearly four decades ago Filipino-Americans brought it to St. Mary’s parish in Jersey City. 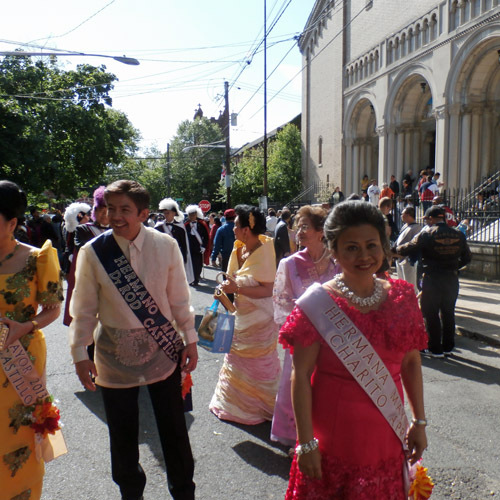 After the mass, a procession Up Erie Street, than back down Manila takes place. There’s also a street fair and entertainment. 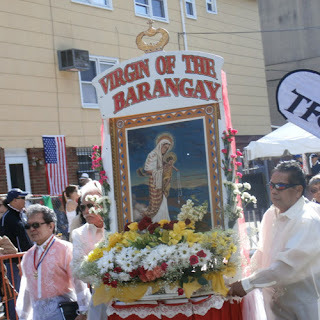 The procession includes a reliquary with a relic of the True Cross, ceremonial garb and a procession of more than a dozen incarnations of the Blessed Virgin Mother – Mother Mary as she is affectionately called – and is really a culmination of events and planning, of not just the novena, but selection of the parade leaders, the kings and queens, princes and princesses, the flower girls and garland boys (The Flores De Mayo portion of the parade), which takes place an elaborate party earlier in the month. 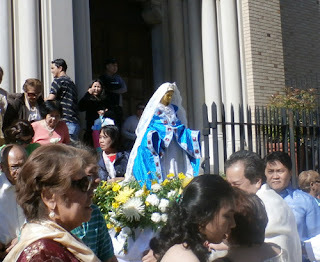 It’s a celebration of the month of May, the month of Mary. 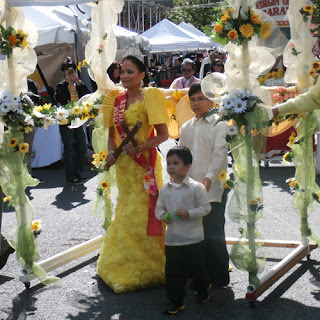 The color gowns – complex creations of taffeta, lace and satin – the customary barong – flowers and garland every where. Multiple generations of families and friends and the faithful – memories colliding, being formed or shared again, crossing and connecting different hemispheres and centuries. Let another Summer unfold. 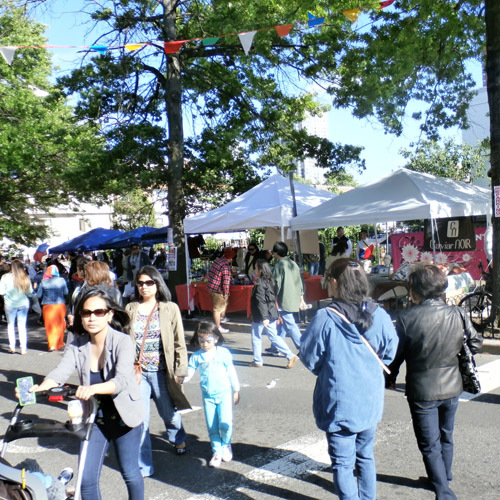 The party J.C. Filipinos through for our city every Memorial Day weekend – an authentic mix of the sacred and the secular – kicks off the street fair season. It’s hard to write something new every year. 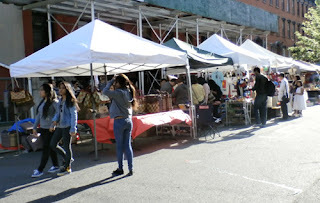 But it is also hard not to take pictures, not to note these well known patterns, to remark on the comfort of the familiar, these things that happen every year that make you glad to live where you do. 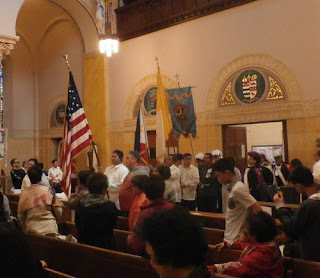 An annual and festive renewal of shared bonds. There was some a noticeable difference with this edition though. 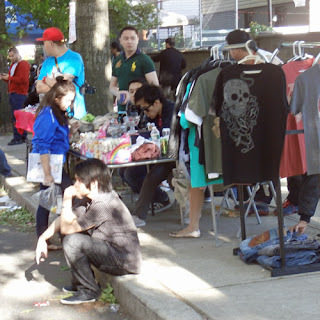 It seemed more crowded; there was actually more vendors than last year – about a half a block more, with more products specifically geared to the Filipino community. 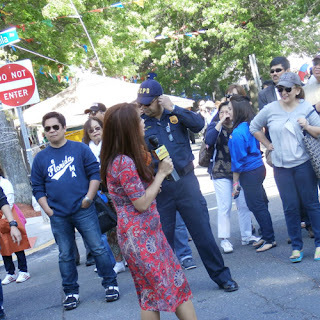 The Philippines Ambassador to the United States was also in attendance and part of the parade, Philippine TV sent an anchor and camera crew. 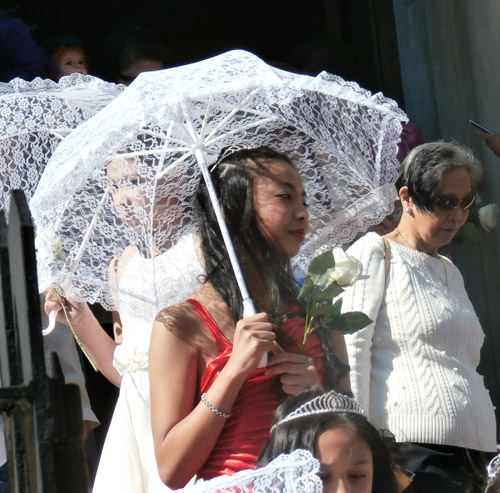 I don’t recall these from previous years. 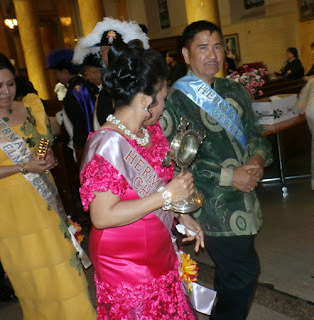 Ten days or so prior, Jersey City elected a new mayor, who was at the Santa Cruzan wearing a barong. 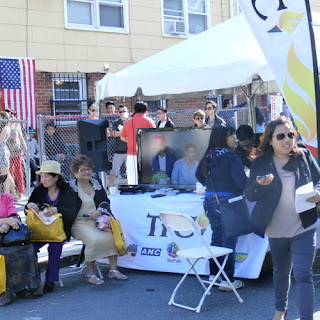 While Steve Fulop’s win was decisive, council seats were not and a run-off election is scheduled in June, so brochures and electioneering were part of this year’s parade, where previous years such activity was pretty much absent. 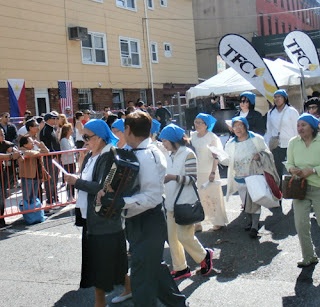 The bigger size, the increased international present, and the blatant political activity… I couldn’t escape the notion that the Philippine niche is more crucial than before. Maybe niches are more important in our polarized couture and segmented economy, where every inch is worth a mile. 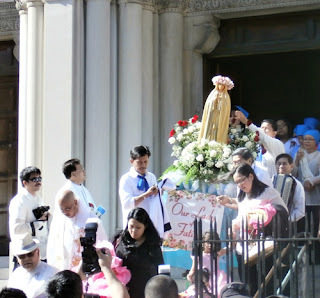 But the Pacific Rim is growing and this archipelago nation and its closely knit diaspora has grown with it, but as the profile of Santa Cruzan rises, the tradition of faith and fellowship from which it rises remains intact and genuine, and everybody who comes to Second Street for their unofficial start of summer was grateful.